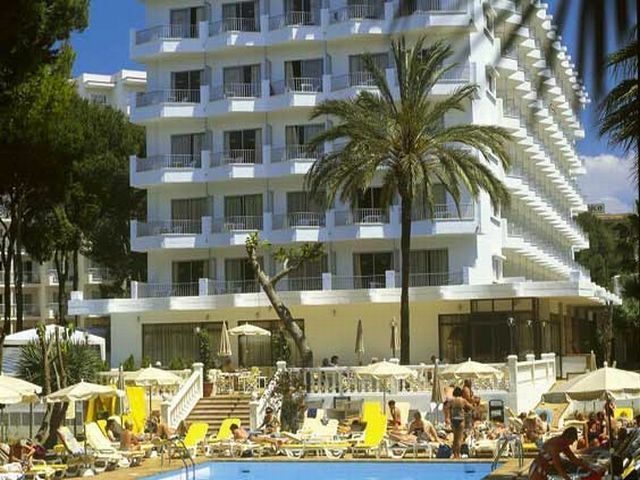 The Hotel Riu Festival is located in the Playa de Palma , in the vacation paradise of Mallorca, Spain . This 4 star hotel is located 250 m . from the long beach of golden sand is ideal for a holiday with family , partner or friends. Surrounded by one of the most touristic areas of Mallorca hotel has everything so you can peacefully enjoy your stay. Hold freshwater pool , indoor pool, sun terrace and bars to cool while you enjoy the nice weather . Mallorca is known for its local cuisine , so in the Hotel Riu Festival buffet 'll find a variety of foods that will make you enjoy the best flavors in your holiday restaurant. Being a popular tourist area, you will find many activities , excursions and sports make. Near the complex you will find tennis courts , horse riding, bicycle rentals , miniature golf and Golf several times a week and you will be able to attend shows at the hotel and listen to live music .